Haircut includes hot lather shave on the back of the neck and styled to your preference. One length all around followed by hot lather shave on the back of the neck. 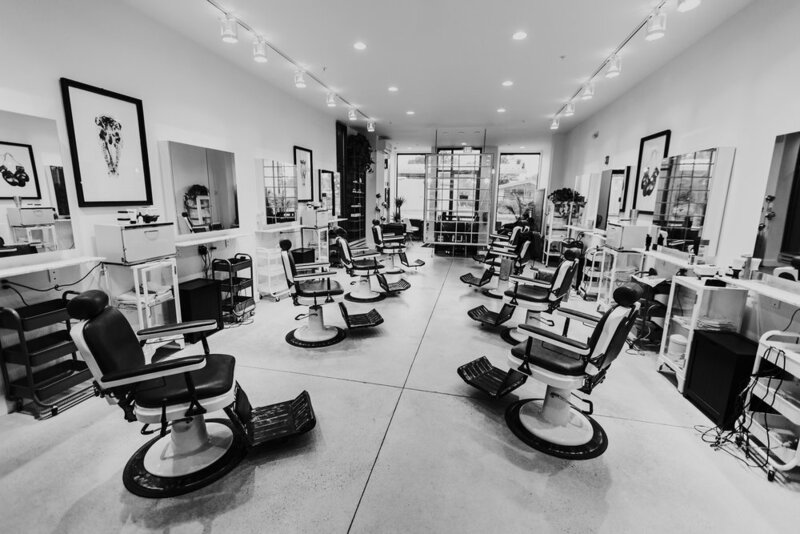 This service includes a relaxing straight razor shave following the haircut. The Hot Shave consists of six steam towels, face massage, two passes with a straight razor, finished with a cold towel and refreshing after shave. Hot Shave includes six steam towels, face massage, two passes with a straight razor, finished with a cold towel and refreshing after shave. Haircut & beard trim $35. Haircut includes a beard trim followed by hot lather shave on the back of the neck. Beard Trim includes beard oil finish, hot lather shave on the back of the neck and fresh aftershave.